This is the first post in a series which will deal with underemployment in Las Vegas, Nevada child support cases. 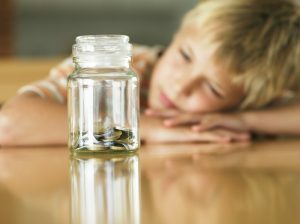 I have previously discussed how to go about dealing with situations involving unpaid child support. Such cases often involve a parent who is unemployed or “underemployed.” In such situations the Court will require a parent to pay a child support amount that would be required if the parent were working full time. The purpose of this series will be to discuss how to go about proving that the parent is, in fact, underemployed. If you are involved in a child support dispute then contact my office today to speak with an attorney. These are important topics for multiple reasons. First, the Clark County Family Court will not automatically find that someone is “underemployed” simply because they are earning less than they possibly could. It must be shown that the individual is making a conscience choice to not earn as much as possible. Second, the discovery process can be used to gain job search histories, correspondence, and other records which will show whether one is making a good faith effort to increase their income. Finally, if a parent has been paying less than the Court Ordered amount then it is possible to have them held in contempt for having done so. One point I cannot stress enough is that one should contact an attorney as soon as possible if they feel they are not receiving a fair child support payment. The Court will typically only grant an increased amount from the date at which you make such a request. This means that the longer you wait to seek an increase in child support then the more you miss out on potential payments. I have handled many such matters and am ready to assist you. Contact my office today to speak with a Las Vegas family law lawyer.